More and more business owners are redirecting their focus to a more eco-friendly and sustainable business plan. People understand the significance behind making changes to better the Earth and its future and to become more conscious about using resources. Are you one of these business owners? Are you trying to find ways to create more sustainable business practices? If so, consider the following four ways you can boost sustainability in your business. Sustainable businesses encourage employees and customers to leave their cars at home. When selecting a business location, find a place that your employees and customers can reach by walking or biking. 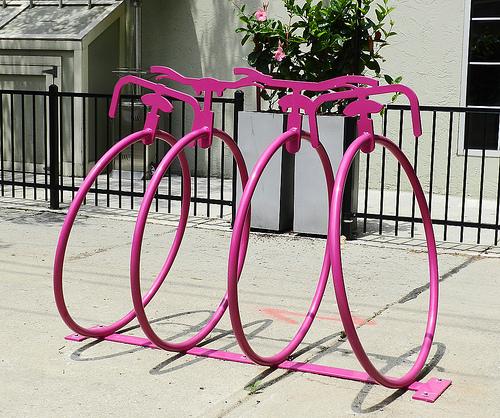 Promote cycling to work by installing a storage area for bikes at your business. For workers or customers who live farther away from you, consider an office that people can easily reach using public transportation. Many of the products we use, from coffee cups to the paper consumed in businesses, could easily be replaced by reusable products. You can replace all of your paper cups, plates, and plastic wear with reusable mugs, glasses, plates, and silverware. Install a dishwasher to make the cleanup easier. Encourage employees to take notes on virtual notepads and send documents by email versus wasting paper, printing, and mailing. When you replace disposable products with reusable products, you contribute to a healthier environment. Everything in an office, from printers to computers and the HVAC system, uses energy — but how much energy these items use is up to you. If you want to make your business sustainable, consider switching your equipment to energy-efficient machines. Start with office equipment and move to appliances and your heating and cooling systems. Similar to newer appliances and office equipment, all new HVAC systems are much more efficient than their older-model counterparts, making the newer versions more eco-friendly choices. Every year, a significant amount of material ends up in the trash and in landfills. Many of these items, such as old computers, fax machines, office chairs, and more items, should not go to the dump. Instead, donate these items to companies that help those in need. Even if you have damaged older equipment or malfunctioning machinery, some businesses will repair them and give the items to people who could use them. Additionally, if you are building a new office, make sure the scrap materials don’t all end up in the trash. Humanitarian organizations such as Habitat for Humanity take material donations, and these organizations can often use your scraps to help someone who might need help or access to materials. You can certainly take many measures to make a business sustainable, but every step you take in the right direction helps. Stop worrying about whether you are doing enough to foster a more eco-friendly environment. Do what you can with practices such as those described here. Soon you will find that you can make your business operations become more sustainable. This entry was posted in Perspective and tagged business, sustainable.